Internet Free! WiFi is available in the hotel rooms and is free of charge. 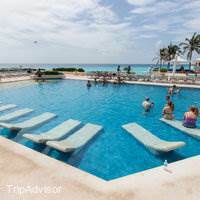 Omni Cancun offers a zero-grade entry pool with waterfalls and a swim-up bar. 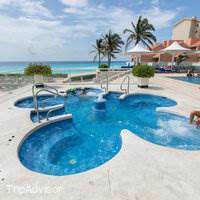 Enjoy the large, 35-person spa bath that overlooks the ocean, while the kids play in the children's pool. 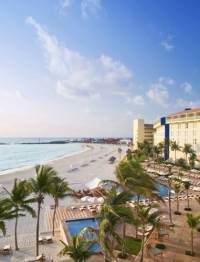 Soak up the sun on the palm-lined beachfront, or play a game of volleyball, tennis or basketball. 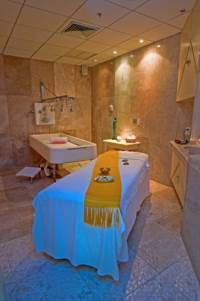 After a day of exploring the fascinating area or playing on the beach, relax with Omni Hotel's spa services. Feel pampered with a massage, body treatment or nourishing facial. 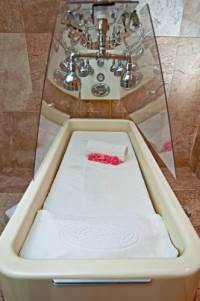 Then, loosen up in the steam room, workout in the fully-equipped fitness centre or get a new look in the salon. 19 of us stayed at the omni for 6 days,the hotel was nice and clean, all inclusive staff had several places to eat and several bars drinks were good but not top shelf liquor, very friendly and helpful staff. We had a good time. 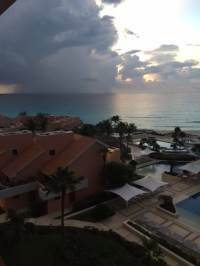 Another great stay at Omni Cancun! This was our 3rd stay and it is like visiting old friends. We were greeted by Jesus at the concierge desk all 3 stays and he took care of all of our requests and reservations. We stayed in a villa this time. I liked being closer to the pools and beach! It was 3 floors- 3 bedrooms/3 1/2 baths with full kitchen, dining and living room. 3 balconies with ocean views. The staff remains consistently excellent. 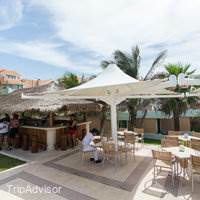 We ate breakfast and lunch at Pina Colada -we prefer the cooked-to-order over buffet. Jose Cocom always takes great care of us as do Victor, Aidan (Galleta), and Jorge. We seriously did not have a bad meal there. The fajitas are excellent! At night, it becomes La Pina - a Mexican grill (requires a reservation). We ate there twice at night. Reuben was our waiter on our last night and was fantastic! 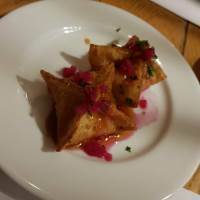 We also ate twice at La Vista for dinner (Asian cuisine) - also superb! (also requires reservation). We did not eat at DaVinci (Italian) this time as the men did not bring long pants. 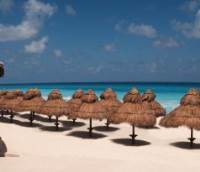 As for the beach, we had no problem getting chaise lounges with palapa. 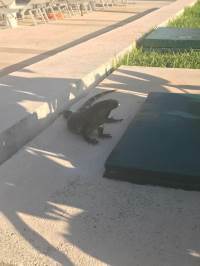 Many thanks to Consuelo, she kept us "hydrated" and entertained.We were lucky enough to watch a turtle release one evening - 144 babies making their way to the water.We look forward to visiting again! We had a great time at this resort. The staff at these hotels don't make a lot of money and they work so hard. We always like to give them a little tip each day to show our appreciation of how hard they do work and they soooo appreciate it. It's so worth it!! We want to send an extra "Thank You" to the following staff they made our stay so enjoyable. They were all so kind, courteous, and funny. Arturo the bartender at the beach (your the BEST) , the other bartender as well ( I think his name is Jose", but I'm not sure), the staff at the Pina Colada restaurant on the beach.....Adan, Rueben, Victor, and ("Darn it, I can't think of the other guys name), YOU GUYS ARE SO PROFESSIONAL AND EXCELLENT AT WHAT YOU DO.....WE LOVE ALL OF YOU, even Marvin who helped them clean dishes off the table and served appetizers....thank you for your sweetness. Can't forget the 2 lady bartenders on the beach, Consuela and (can't remember the other one's name either). You both worked so hard each and everyday keeping us hydrated with waters or whatever drink we wanted. We can't thank you enough!Our room was kept clean and immaculate everyday by our maid....we were in room 1731. She had a different name.....something like Carmista. We tipped her too, $20 for the week as she did an outstanding job. The only negative thing about the rooms are the walls are VERY thin and the beds are pretty hard. We were there during off season, so the resort was not that crowded. Therefore, there wasn't too much noise because of that. Last but not least, I have to make a shout out to Rudy who worked in the Spa. We saw him every morning when we came down for breakfast. He did his darndest trying to sell us the Vacation Club 90 minute promotion. We told him the first day we were not interested, but everyday he would still try. It started to become funny after awhile, as he would come up with different ways to try in reel us in. Thanks Rudy for making us laugh and see your smiling face every morning. I won a Trip through my job back in March for 4 nights, at first my husband and I were a little bit nervous since we've never been to an Omni Hotel. This Hotel did not disappoint us! we had an Ocean view room which was amazing. 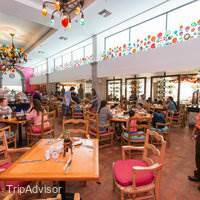 We loved the Sushi Bar, the Viva Mexico restaurant and the Buffet Restaurant. The entertainment was wonderful, my husband had a great time playing Volleyball & singing karaoke at night. 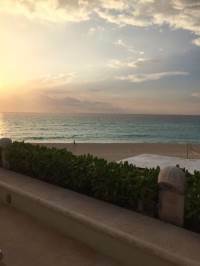 What a Relaxing, Refreshing, Pristine property, Exquisite time shared at the OMNI Cancun Resort & Spa. Thank you Norma, Saul, Juan, Arturo, Orlando, Jose and Housekeeper whom revised our suite during 9/27 to 10/4/2017 First thing I have to say if you want to experience smiling genuine faces that offer a wonderful experience then Omni Cancun & Resort Villas may be the place for you. This is my second time spending time at this resort and each time was different cause of reasons for vacationing. Truly an excellent experience from all staff starting at Concierge, Front Desk, Waiter, Waitress, Bartenders, Housekeeping & Room Service. They receive Platinum Stars for providing me and Other Half (BF) genuine overall service. The Resort was currently going through reconstruction but easily missed cause of the wonderful staffing experience. All staff that was witnessed through my week long experience deserves to hear this because they are all hard workers whom make Omni Cancun Hotel & Villas be what it is presently. Thank you for the wonderful shared experience!!!!!!! Our room was very good . Helen an Joeyjagger as they called me at the resort was exciting. The worker staff their is absotuley fantassic. We wanted to take home the waiters an waitresses. They took care of us like no other hotel in the world. They were couterous , kind ,funny ,very intelligent ,always making you feel at home. The pool staff an entertainment was exceptional an great fun. Our drinks were never empty. The food by the pool an service was excellent . 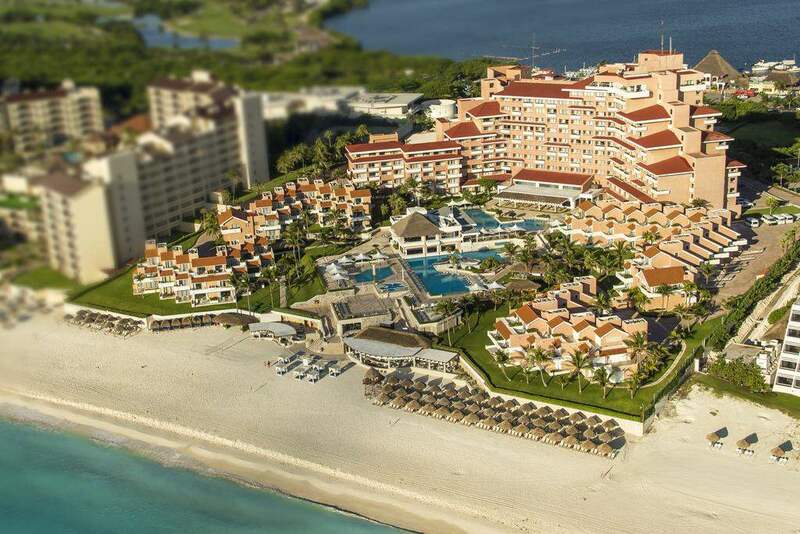 We would recommend this OMNI CANCUN RESORTS to all our friends an family. That's why we came here ,because family was here first,an said what a wonderfull time they enjoyed.Mgrs were fine but could have been more helping. But MANUEL the mgr in lobby was EXCELLENT .Very wise person an very helpful. thank you all for a wonderfull time. Lovely hotel, lots of choice for food and drinks. The snack bar beside the pool for mexican food ( tacos etc) is excellent, fresh and tasty and filling. Drinks were plentiful on the beach and the staff are very attentive. 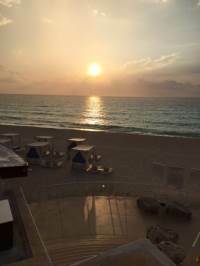 Beach is beautiful and kept clean - the surf is very strong and so if you are not a strong swimmer do not recommend but paddling to knees can be done easily. The weather was sunny and hot - be careful of sunscreen as it is so close to the equator. little extra touch is the giant turtle nursery on the beach behind the sunbeds - we even saw a giant turtle come to the beach to lay her eggs which was amazing. 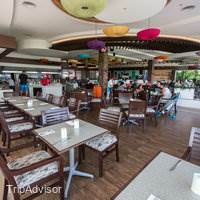 we had breakfast every morning at the beachside mexican restaurant which was fresh food , made well and lots of choice. There is an asia restaurant and we were lucky to dine twice ( tried the fried icecream!) and also an italian option ( it is not traditional italian but has that feel to it) . overall pleased with the room - large and clean, shower good and mini bar kept stocked well throughout. outside of hotel not a great deal to do as area is for very young adults who want to drink and dance in clubs - also main town area felt a little unsafe late at night, did try a restaurant at the shopping mall once but wasn't impressed so suggest stick with hotel as everything you need it there, you can get around on a bus for 1 dollar which is excellent - but it is very much for locals and tourists so don't be expecting luxury - but it is frequent and quick. buy good mosquito repellent - you will need it. dont swim in the lagoon - there are crocodiles ! would go back in the future . we flew upper class and booked with Virgin Holidays which made the trip from the UK very comfortable. Can't say enough about this place. 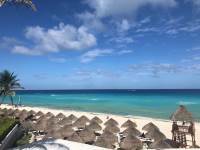 We have vacation club package here and this is the most amazing place. already planning next years visit. Cleanest place, nicest people and best beach and view on the coast. Can't possibly go wrong with a vacation here. This hotel is fabulous. The hotel itself is elegant, beautiful, clean and very well maintained. 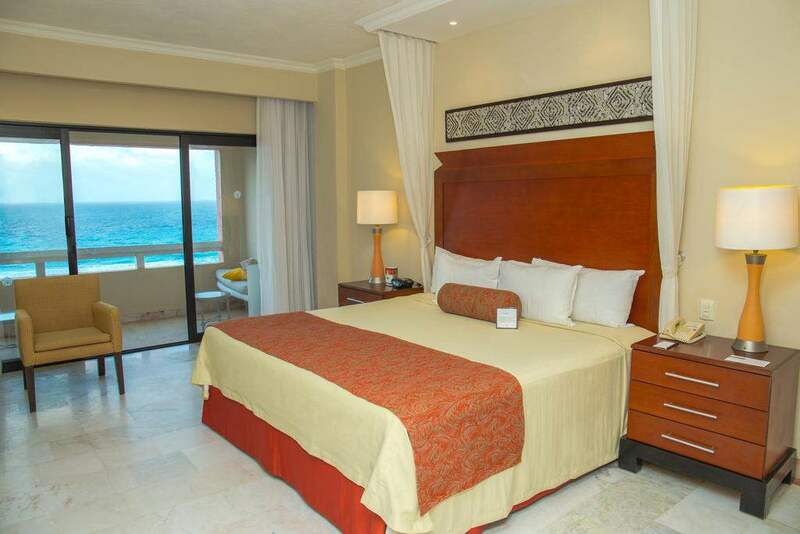 The location is to die for with ocean view rooms that simply cannot be beat. The beach was beautiful and clean, with long stretches to walk to the left and right of the hotel. There were plenty of beach chairs and umbrellas for shade. They also have cabana beds available for rent - I think they come complementary with some room types.The service from every single staff member we encountered was impeccable. Without exception, the staff provided the best customer service of any hotel I've ever stayed at. Period.The only slightly dissatisfying thing about the Omni was the food at the buffet. Although always presented cleanly, plentifully and very fresh - it just wasn't always that good. Breakfast was usually the best meal of the day and the Mexican food selections were definitely the best part of any other meal. The waiters made up for anything lacking with their absolutely perfect service at every meal. 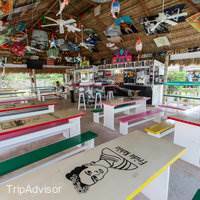 They have a beachside restaurant called Pina Colada's that seemed to serve mostly Mexican dishes that were crazy delicious. This was the best food I had while there and I should have eaten there more often. The burgers by the pool were also exceptionally good. 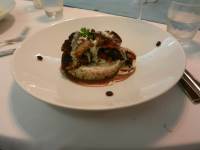 There are other, reservation only, restaurants that we did not try – but I can’t speak to their quality. Having said that - don't let the buffet food deter you as there are plenty of other options to choose from. The hotel was under renovation when we were there. Except for the occasional noise and some not very noticeable drop cloths – we may not have even noticed. Thank you so much to all the staff at the Omni, your made our vacation amazing. Orfa, Mauricio and Paulina at the pool made us not want to leave :(Veronica hooked us up with the best night out ever. Carlos and Angel the bartenders gave us incredible service. I wish I knew everyone elses names, but all the serving staff at the various restaurants left us never lacking for anything. The grounds are beautiful and the room with the lagoon view was gorgeous.Thanks to all the staff for helping make our vacation incredible. We will be back. This was our 3rd visit to the Omni. We had a great time even with some rain. We will definitely go back. The releasing of the baby turtles was a unique experience! Some awesome staff members who made our trip memorable were: Orlando, Arturo, Orfa, Paulina, Esteban, and Oscar. The only negative view I have is that the dinner dress code was mostly not followed. We wish this dress code was enforced or better clarified. 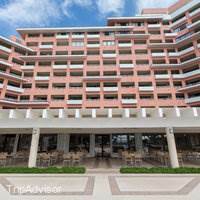 He was such an awesome employee...He always had a great smile and very outgoing and helpful..The housekeeper always had our room sparkling and clean.. Rita is a great cocktail waitress...The different restaurants were 5 star rated...Very good food. We had great stay, we enjoyed every minute. The hotel is in great shape and the staff are unbelievable amazing, smiling all the times, happy to be there and love to serve. 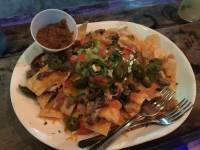 This was our second visit and we will be back again. Stayed at 3 hotels this year down in Cancun and you do not get service or amazing food like you do at the Omni. Consuela is the queen of the beach, she is always there for you and brings life to your beach days. Jose Martiniano is absolutely the most amazing man in all of Mexico, he goes above and beyond for each and every visitor. Jose Martiniano makes each day worth coming up for supper and getting out of your room at the hotel lobby bar. Absolutely love the Omni Hotel. 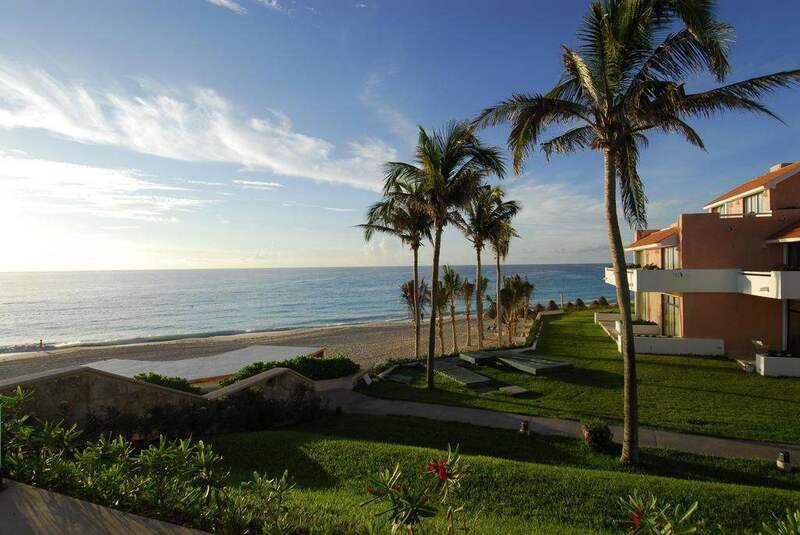 You and your family will truly experience Paradise or find your home away from home. Always a great time at the Omni! 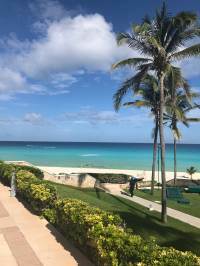 I am a little late in writing this review but here it goes… My family and I have been visiting the OMNI for several years and each year it seems to get better. We were there July 1 – 7th. 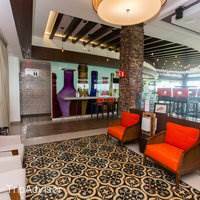 The renovated lobby bar and Pina Colada restaurant were a breath of fresh air. Both were long overdue. Each restaurant that we dined in was fabulous. The food was fresh, hot and delicious. The drinks were equally as good. The staff was top notch and was available to help you carry your dish or pull a chair out for you. We enjoyed the evening entertainment. Everyone we spoke to did not have a bad thing to say. The July 4th festivities were awesome – the selection of BBQ food was outstanding. I have to give many thanks to two waiters that each time they saw my family both went out of the way to please us. Many thanks to Jose Martiniano and Francisco Armas. You guys are great!! See ya next July! Our third time back in 6 years and our last for awhile. We made reservations 9 months in advance and asked for a ground floor room and a king size bed. We did get the king size but were placed on the fourth floor but we were given an option to switch the next day but still did not get a ground floor but a second floor was the best they could do. The in room fridge was not fully stocked and it seemed like there was a shortage of beverages. No OJ, no mineral water, no Fanta products like on previous visits. Staff was friendly but not gracious and hospitable as previous visits. The alcohol was very poor this time around. Beer had no flavor, could not tell there was any alcohol in the mixed drinks and they were out of some things at some bars but others had them. We ended up ordering shots with our drinks to add ourselves. La Piloma buffet food was ok, as usual, but the other restaurants were fantastic. The restaurants where you need reservations I highly recommend and Viva Mexico and the sushi bar were outstanding. 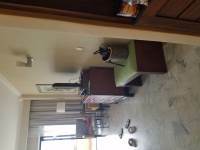 The whole place is so clean and they pride themselves on the appearance and so they should. Rooms are updated as well as the bathrooms and though our visit was not as good as our previous ones, it is still a great place and worth the money. My visit to this hotel was excellent . 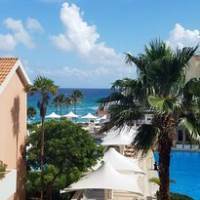 My experience was great , everything was fantastic ,The room was confortable , nice , organizated and clean .The restaurants ,the gym and the swimming pool was perfect .I would recommend this beautiful hotel to anyone . 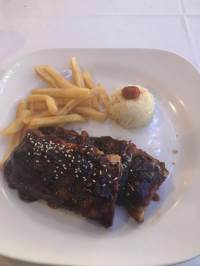 Also I felt like I was at home.And I want to say congratulation to special waitress named Marvin Daniel Rosas ,He served me at Paloma and Pina Colada Restaurant ,he was very nice ,respectful and professional . I loved this hotel. Was so clean and tidy and the staff were great, very friendly and helpful. My favorite member of staff was Rita from the pool bar. She was such a pleasure and made sure me and my husband had a drink in our hands at all times. not once did we have to go to the bar ourselves.SHE IS BRILLIANT!!!! 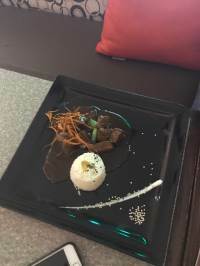 Only downfall to this hotel was the main evening buffet restaurant, the food was so bland and not much choice at all, my husband is fussy so we really struggled and ended up eating out in restaurants down the strip two nights. We couldn't use the Al a Cart restaurants as my husband didn't pack long trousers, so that's the only downfall really but it didn't ruin our holiday at all as we were only there for 5 nights to finish off our honeymoon we didn't mind eating out and paying. 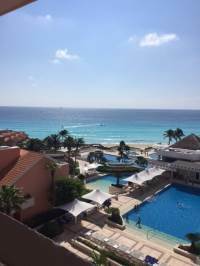 We stayed at the omni from the 12th-22nd of September 2017 for our honeymoon.When we arrived we were taken to a small office room to check in and were then told the hotel had work going on. Which if we would of known before we arrived we would of changed this especially for our honeymoon! 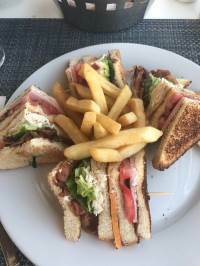 They were quite abrupt and said ‘well it was on our website’ we have since then checked and it was not clearly stated!When we got to the room we had a letter from the hotel stating works would be going on from 9-6pm however most nights it went on later than 6pm.The food in the hotel was great! You can get food 24hours of the day.The pool bar had wraps, ribs, burgers, onion rings. Etc.The main restaurant wasn’t always open in the day but in the evenings it had different themed nights open from 6-11pm.The a la Carte restaurants were ok but needed reservations: we loved the Asian restaurant and visited twice during our stay! Breakfast was average - not much changed. Cereals, general fry up, toast and cakes, fruits and yogurts, and hams and cheeses. Drinks were whatever you wanted really. Open from 6am-11am. The hotel entertainment was rubbish! Started at 8pm and finished quite early. 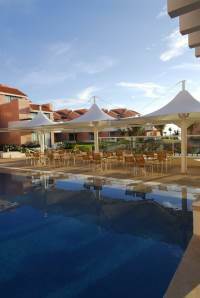 Twice a week was karaoke!The hotel beach and pools were stunning easily to find a sunbed! The waiters couldn’t do more for you and they always brought drinks!Trips are very expensive around $150 each! And the spa was a crazy price too $200 per person for a massage! We decided to save the money and book a weekend away instead! We asked the spa if there were any deals for us as we were on honeymoon but they wouldn’t budge!When we went to check out they tried to cut our bands off for food/drink but we argued it as we were still there for another 3hours!Overall we wouldn’t return to cancun, this hotel I’d say is okay for a standard holiday but not for something special such as a honeymoon! Incredible resort, even with ongoing construction! Every moment is relaxing and enjoyable from the second you arrive until you leave. The property is undergoing construction to make it even more modern/beautiful, but that did not bother us. The staff was very apologetic the entire time, and even gave us free wifi (contrary to our expectation). The entire property is VERY clean. Staff even cleans the concrete stairs leading down to the beach every single night. 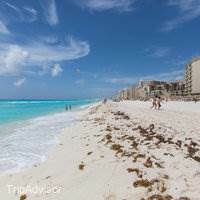 Overall, we highly recommend for anyone staying in Cancun. 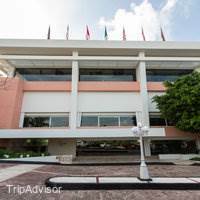 Aside: we are a young married couple and found the entire stay both safe and romantic despite the US State Department's recent statements indicating safety concerns. We definitely plan to return! Another amazing time at the omini! From the minute you arrive until check out, everything was wonderful. The staff does amazing job at making sure you are happy. Orlando the bartender and Arturo the waiter. Thank you for taking care of me:) enough can not be said about the entertainment staff, they work their butts off. Always happy and great at what they do, lots of fun activities. Orfa, Mauricio, and Paulina. Thank you:) The rooms are clean, and the view was absolutely beautiful. Enjoyed the food as well. My favorite was the sushi bar, Mexican night at the buffet, and pina colada restaurant. But there are a lot to choose from. I can't wait to come back! Thank you to everyone!!! Girls week in Cancun! We celebrated one of my girlfriends birthday while there and it was such a relaxing and wonderful week. 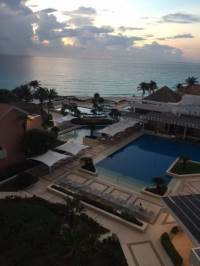 I have also stayed at other resorts in Cancun and the Omni is my favorite! The rooms are comfortable, clean, and the views are great! But the staff at the Omni are exceptional! The day of my girlfriends birthday from morning to night all staff made it so special. The guys at the Pina Colada (Victor Zavala, Jorge Lagunes, and Jose Cocom) gave impromptu singing of Happy Birthday. Jose Martiniano at The Paloma & Lobby Bar will take excellent care of you. He organized a special surprise celebration lunch for us and then we topped off the night with dinner at Da Vinci restaurant. Plenty of activities on and off the resort. 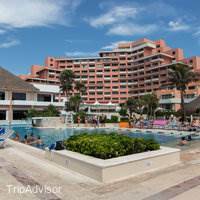 You will enjoy the Omni Cancun experience! Went there with my family in the end of August. 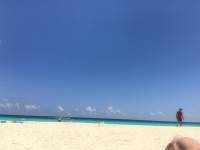 After Cabo last year wasn't sure what to expect with Cancun but I have to say I was impressed and liked it more! 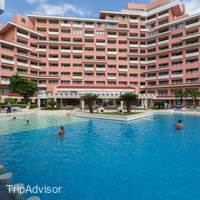 Regarding the Omni, overall we were very happy with the resort and its amenities. The food gets a 4-star, it was good but the buffet got monotonous after a few days. The best part of the resort is the staff, especially the entertainment crew. I have forgotten the names but they were so great including everyone in the activities, two of which my 8 and 5-year olds won and still talk about a month later! I'm forever grateful for the lifelong memories they helped create by their hard work, personable personalities, and ability to include everyone. Their energy day in and day out was impressive! Thank you for a great week!!! My wife and I visited the Omni September 3rd-7th. Overall, it was an amazing trip and I found many of the reviews on here to be helpful/informative, and I hope others find this to be the same. Pros:Price- Pretty self-explanatory.Staff- Everyone was warm and friendly. We weren't hassled about timeshares. Upon arrival, Oscar, the welcoming adviser, could tell we weren't interested in that after calling us over to give us a map of the resort. He immediately said "hey, if you guys aren't interested in the timeshare, just let us know. That way, we can weed you out and we won't bother you". He was friendly and direct, which I LOVE, and they didn't ask about this again. 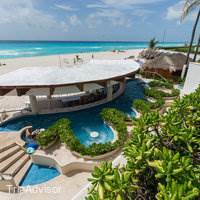 I will say we spoke with other people throughout the visit who had timeshares and loved them. The waitstaff, front desk, bartenders, and housekeeping were always nice.Facilities- The hotel was kept extremely clean/well kept. We left our room to head down to the beach every morning at about 9 and would come back for a quick break around noon. The room was clean every time. The mini fridge was restocked, though, reflective of some other reviews, they don't necessarily load it up. We didn't care much about this but it seems to be a hot topic for some. It was easy to walk down stairs to the lobby bar and get something if we wanted it, including alcohol, and bring it upstairs. 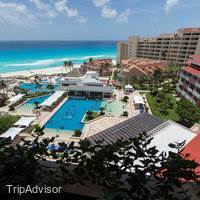 Beach and pools- You're in Cancun. The beach was beautiful. Big waves the first 2 days, calm the second 2. Pools were perfect temperatures. Beach and poolside waitstaff. Food/drinks- The food is good. 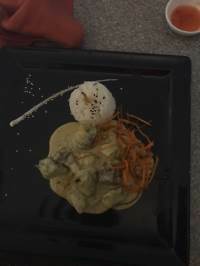 I know there are elegant hotels that serve unbelievable food but in my experience, most hotel food is so so, whether it's all inclusive or not. We didn't get sick, which is pretty much what I'm looking for when I eat in Mexico. The Sushi bar on the beach was surprisingly good and the buffet was our second favorite. Just laid back, nice atmosphere. Breakfast was the same, lunch and dinners were changed up daily. All were good. Room service menu is good too and the 5 dollar delivery charge didn't bother us at all. Drinks were great. Not so strong that you can't stay on the beach drinking them all day but they'll get you where you're going. And also not tainted, which I guess is a thing now. Cons:Remodeling- I feel bad even putting this as a con but you should know. Raul at the front desk was very candid about this upon check in and offered to get us a room away from the noise (trade off was 2 double beds instead of a king closer to the noise). We took the king as the construction would only take place from 10-6. It was never a bother, even though we heard them every now and then. They also left a note in everyone's room one day informing us that the AC would be off for 6 hours the next day. Again, not the worst thing ever and we didnt even notice when we did go upstairs that day but just trying to be candid.Thin walls- I have seen many others talk about this and have to say, the walls are thin. It didnt bother us until the last night when some schmo was making a racket at 2 or 3 in the morning. Still fine with us but if you have kids with you, it could be worth considering. Beds- Not the comfiest thing I've ever slept on. I was okay, wife didn't sleep so well on them. Stairs- There are stairs. 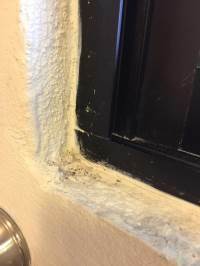 I didn't see any defeated travelers unable to navigate the hotel freely because of this but I could see an older couple (or anyone with an ailment) wanting to know this. Overall, an absolutely great trip and we'd go back. Have fun! We had our wedding September, the service at the Hotel was OK. The food in the restaurants was pretty good but the buffet was greasy. Pillows at the room were super hard and all our guests complained about it. Other than that it was OK. As far as hosting our wedding with them, the process was not smooth at all. Since the hotel booking and changes for our guests it was a struggle. They called the hotel and people did not know how to assist, since it was made through a website online, they either put them on-hold for hours, ask to cancel and re-do everything or call the USA for them to assist. 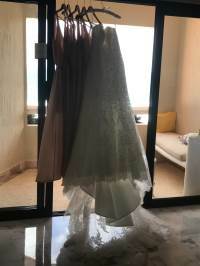 The staff at the Hotel did not have any access to make any changes, and this made it complicated and even more work for the bride and groom to have everyone in the party accommodated. As far as Jesus, the wedding planner, he was helpful on the process but the day of the wedding he did not assist at all. His main responsibility as a wedding coordinator is to keep the bride and groom without stress and resolve last-minute issues and instead, he got into a negative attitude and started making changes last-minute that we did not approved to the point that he made me cry on my wedding day. He got defensive towards his vendors and did not wanted to turn un the lights or the dance floor because it rained before NOT DURING our wedding - not to mentioned, that he was not there to supervise they did a correct job. We his DJ and he was not at his place all night, he just left a playlist going. He did not give any of the props we paid for and out of the 3 shots with robots he was supposed to do, he only did one. Not recommendable, not happy and really unsatisfied with their professionalism, especially when Jesus, the coordinator did not cut the cake when requested and instead he asked one of my guests to remove and make space on dessert table instead of him or any of his staff doing it. REALLY!??!?! Not happy at all! My husband and I stayed at the Omni last October. Omni is a clean and excellent resort. Beautiful rooms and pleasant staff. There was construction during our stay and the main bar was closed. However we still enjoyed every aspect of the resort. The only reason I am giving a 4 is because they refuse to let you take cups to your room which I didn't like since I hate drinking my morning coffee with a disposable cup.One other negative is that Omni is at the beginning of the hotel row and it takes longer to get to downtown and the club areas. Otherwise the bus stop is a short walk down from the hotel. construction starts early and goes until evening. Hammering goes constantly. Overall great service and food was decent. Good for what you pay for. Drinks could be better. Our biggest complaint is they expect you to wear long pants for dinner in all restaurants except for the buffet. To hot and humid for that so we will probably go elsewhere. 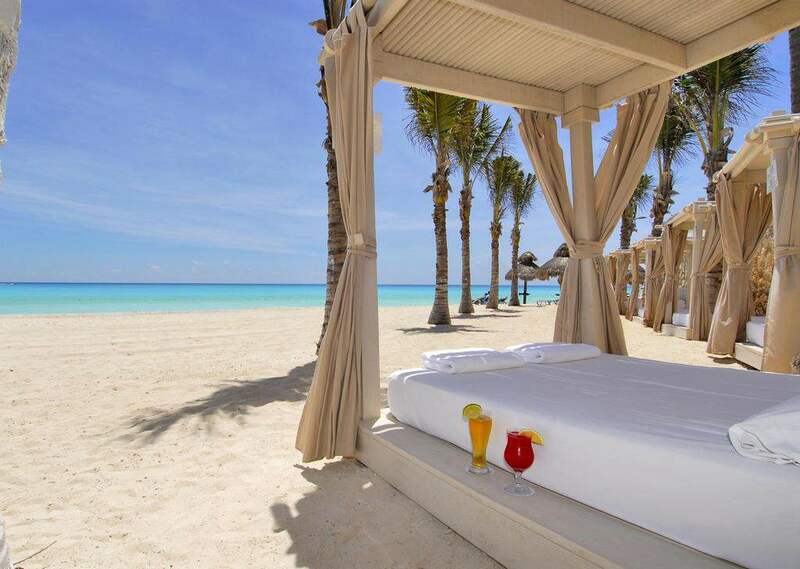 There are tons of all-inclusive resorts in Cancun to choose from, but I would definitely come back to this one. (P.S. 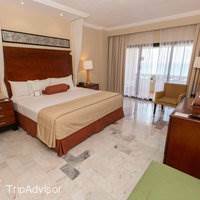 do NOT go to Cancun without staying at an all-inclusive) From the moment we arrived to the moment we left, the entire experience was phenomenal. The service was outstanding and they make you feel like royalty. When you arrive, they immediately take your bags and bring you the drink of your choice (probably to liquor you up to agree to signing up for a time-share pitch). When you sign up for a time-share pitch, they offer you steeply discounted tickets to some attractions. We had already booked all of our tours ahead of time, so they gave us $200 towards the Spa instead - very worth sitting through the pitch! We signed up for the pitch for the next morning (with 0.0% interest in actually buying a time-share), which did take about 3 hours, but as I mentioned, we basically got free massages at the Spa - so I have no regrets! The room was beautiful, spacious, and had amazing views of the pool and ocean behind it. The room had a fridge with drinks that they stock daily, a safe to store valuables in, and high quality hotel-provided toiletries. 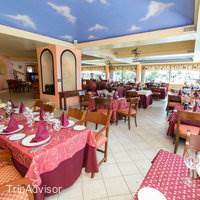 There are many restaurants at the hotel, from casual buffet to fine dining, and a few in between. The one we ate at the most frequently was the buffet-style one, which had a different food theme every day. There were a couple of times my husband didn't love the choices, but I was never disappointed. We also ate at the Italian restaurant (fine-dining) - two things to know about this one - the dress code is strictly enforced, and make a reservation through concierge at least a day in advance. Both the food and the dessert were delicious! The pool and grounds at Omni are beautiful. We liked that there are lots of different pools/sections that you could choose from. The drinks at all of the different bars are also very good, especially for being free! (Well, included in your hotel stay). The beach right in front of Omni is also very nice - gorgeous blue waters, great for swimming. Overall, there wasn't anything I was disappointed in. 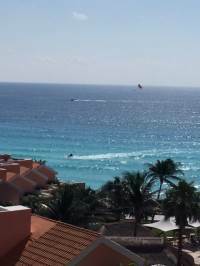 If we return to Cancun, I would definitely stay here again. 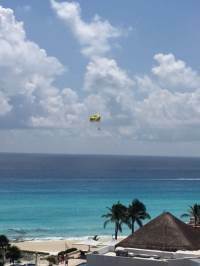 Just returned from vacation in cancun and once again stayed at the Omni hotel. It's just wonderful, everything from the hotel to the staff and food! At the pool bar you must see Antonio, serves up a variety of shots and nice strong cocktails. Beware, he keeps the drinks coming without you asking for them! :) At Paloma restaurant, Placido took great care of us, checked in on us to make sure we had what we needed. Oh, if you want overall tips on where to go shopping talk to Gilberto, he helped us navigate our way to the mercado and shared do's and don't's. The staff is just excellent. At the sushi bar be sure and ask for Orlando, great bar keep! 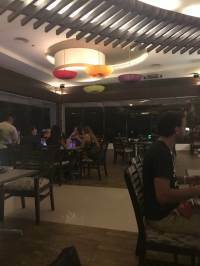 me and my wife spent 6 days to remember on the resort, the rooms are super clean, the staff were very friendly and ready to help, the resort has 5 restaurant that gives you multiple choices, my favorite one was ( da vinci ) italian one. i was part of all inclusive so i didnt spend that much money in there beside tips !! 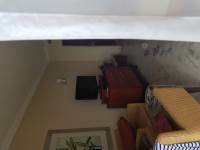 the resort is very well located 15 to 20 min from the airport wish is very good. that was the good things about this resort. wait for the bad part... !! last day i was in the balcony trying to check in for my flight since the room has bad wifi signal, i heard someone knocking my door, at 1st i thought it was the guy who usually fill up the mini fridge with water, soda, and beers. i knew they had key card that has access to all rooms. since i was busy doing things on my phone i didnt open the door. what happen is 2 persons entered my room while i was in the balcony. it was a hotel security guy with a third party employe who supposed to be doing pest control service. surprisingly the 1st one was checking the safety box located right behind the door while the 2nd went right to my wife purse and start checking every single corner in it. i was shocked at that moment i didnt realise that things like that can happen in luxury hotel like omny. i stopped them immediatly, called the security and im very thankful i didnt murder any one of them otherwise i ll be spending the rest of my life in mexican prison. buttom line carefull, carefull do not trust any body at any hotel or resort regardless of the name. Lets start off with the good things. 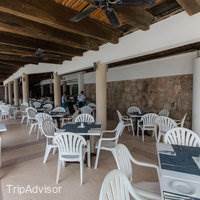 The restaurant and bar staff was always lovely, I didn't get served any bootlegged liquor which was a concern after reading some articles about hotel beverages in Mexico. 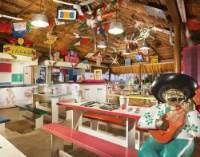 Kuku's bar on the beach was a great spot with swings and hot tubs. Pools and beach also were nice and clean. The bad: The bed was HARD. Not firm, but very hard. We woke up with a stiff back each morning and could never sleep through the night. Staff who were not getting regular tips, i.e. the "front desk" personnel, were actually really rude. So rude that I was blown away. They were very cordial to Spanish speaking groups, but to visible Americans, wouldn't lift a finger. Possibly due to the political situation between the US and Mexico, but they should be reminded that our money is what helps pay their salaries and gives them a job. When I tried to make change at the front desk with Saul, I was accused of having "ripped pesos" that were not ripped. I got management involved and she confirmed the pesos were fake. I had actually got the money from the Currency Exchange across the street that the hotel had directed me to. She was courteous enough to change it for me regardless, but we didn't appreciate Saul lying to us just so he didn't have to deal with the issue. I have read reviews about "Saul" at the front desk, and I will confirm first hand the reviews about his incredible rudeness are correct. Also, the reviews here are not read by management because when I brought the information about the bad reviews about Saul to the manager, she was seemingly surprised. Outside the hotel, we were spit on at the flea market when we were inundated with people selling things so much that we had to leave. The airport staff laughed at us when we had a question. The flight attendants once again very cordial to Spanish speakers but to us, very rude. 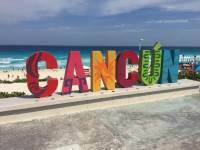 This has nothing to do with the hotel per se, but it was a growing trend around the Cancun area that I believe Americans might want to watch out for. Last year when we visited Mexico, this was not how we were treated and some may want to reconsider spending their money somewhere that is displaying this treatment to paying guests. I liked this resort. Our group fit very well in the "three" bedroom. Ask for extra blankets and pillows at the beginning, if you need them, the blanket is kinda thin. (for me) The pool was nice and of coz, the beach is right there. The activities seemed to be for kids. We were three couples in ur 30s, but we enjoyed the all you can drink package! Great hotel, but could be better! 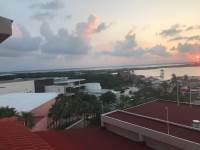 My third time visiting Cancun and enjoying the all inclusive perks. I would say this hotel was great, but could have been alot better. When my family and I arrived, we were greeted and taken to the checkout desk. The check out area looked a bit shady, like an office room instead of the typical front desk counter, but I am guessing that is because they are currently doing construction for some remodeling. 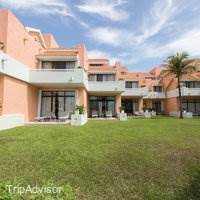 My family and I had the chance to stay at their villas with 3 bedrooms and 3.5 bathrooms with ocean views. The villa had amazing views and was a close walk to the beach. The hotel had 4 different restaurants and a couple other snack areas such as a sushi bar, hotdog, nachos, and tacos bar. The four restarants are: la vista (Asian), Viva Mexico, Da Vinci (Italian), and the buffet. My favorite out of all the restarants was the Italian cuisine from Da Vinci. The Italian restaurant is also the only dine in requiring business casual wear. Do note that for all the special dine in restarants, aside from the buffet, reservations are required ahead of time. The buffet was decent at best. Even when they served a different theme each day, the food served were very similar making it boring to eat. Service all throughout the resort was amazing, everyone was really nice and friendly. Alcohol is abundance there with the mango frozen margarita being my favorite go to. Now to the cons that took two stars off. Schedules:When you arrive at the hotel, you were given two information sheets: restarants schedule and activities schedule. When arrived to some of the activities or restarants they were either closed or not happening. When we asked the servers, they said that the schedules had changed. So that was very confusing, as sometimes I wanted to eat the sushi bar but did not know when it was open nor did I know when bingo was. Wi-Fi: Not sure if it was because I stayed at the villas, but Wi-Fi was ridiculously slow. So slow I thought I was in the dark ages. At one point, the Wi-Fi password they gave us expired. The only time Wi-Fi was doable was in the lobby. Electrical outlets:Each room literally had only two plugs which were already plugged with the two side lamps on each side of the bed behind the bedside tables. It was very inconvenient to plug the phone chargers in and especially if you had multiple things to charge, you would have to charge them one at a time or unplug it back and forth. Another thing I noticed was ants. They are really tiny ants, but you would see them walking on the walls and in the sink area. They are not harmful in any way, but kinda annoying as they can get in your stuff. And lastly the most critical point that made me rethink about staying here again was..... cockroaches! Now I did not see them in the food areas or my room, but they were outside of my room and on the sidewalks. I saw about 3 or 4 one night I was walking to the lobby bar. 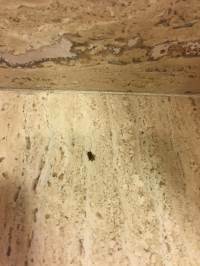 If outside cockroaches don't bother you then you might still enjoy the place, but if you are terrified of them like me then steer clear. this review is long overdue. Been home a few weeks. The Omni still continuesto deliver its guests a great stay. The staff is unforgettable. They will remember you for years to come what you like, even what you drink. Roberto in La Paloma is the greatest waiter I have ever known. He remembers year to year what I like. Herlinda, Gilberto at the pool, wonderful people. And Norma at the front, she is also unforgettable. The hotel still continues to deliver its guests everything they want. Cant wait to go back! Every person who works there will go out of their way to help you. And even at breakfast Danielle, (think that's her name) remembers my omelette. Go there!!!!! We stayed at this hotel for our honeymoon. Felt that the staff could not do enough, I have never been to a place where everyone has been so friendly and helpful. 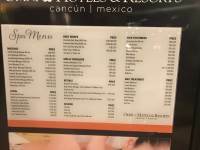 I personally found the buffet food not the best, however there are other restaurants available on sight, but these need to be booked. The range of drinks on the menu was great, and they definitely weren't tight with the servings. 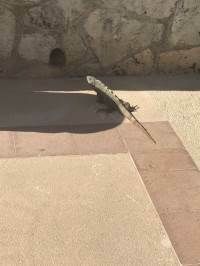 No matter where you were in the hotel there was someone that would be round to offer drinks to your sun bed. We went out one night and were hungry when we got in at 3 am, so ordered room service which arrived hot within 10 minutes, with only an extra $5 service charge. 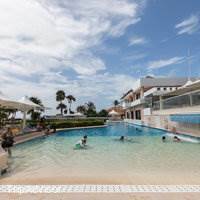 Staff were constantly cleaning, fresh sheets and towels every day, pools cleaned in the mornings, outdoor pool areas cleaned in the evenings, the place was spotless. There was constant entertainment for all ages, all through the day, rain or shine. This took place in one of the three pool areas, so if you didn't fancy being around the music or joining in, this wasn't a problem.Couldn't of asked more from a hotel, and would like to thank everyone there!! Just spent 2 weeks here. Everyone was very pleasant. 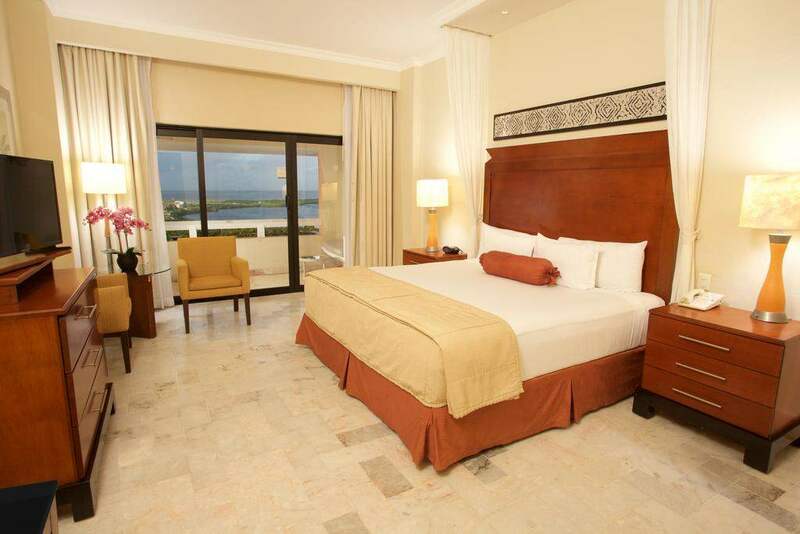 Our room was clean and very nice with a beautiful view from the balcony overlooking the lagoon. 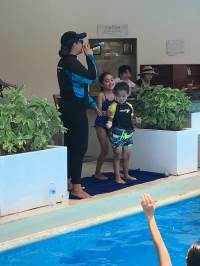 Thank you to Felisa and Paulina who kept our girls entertained in the kids club when taking a break from swimming. They really enjoyed making all the wonderful things. Special mention to Edgar who was very welcoming in the Mexican Taco Bar and at the lounge bar too. Breakfast at La Pina Colada is the best and we all loved the Italian restaurant. The beach is amazing and there were plenty of sunbeds. All the staff work hard at this hotel to keep it spotless. There is plenty of entertainment at the main pool if you are looking for that. We all enjoyed the shows, especially the Michael Jackson show. So glad we picked this hotel. It was great. The Omni offers great food and amenities. Location is great and we had a wonderful time here. 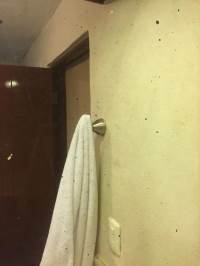 The issue was when we got off of the elevator one night, there was water flowing down the hallway. As we approached our room, we were able to identify that that the flood was coming out from our room's light fixture by the entry door. They quickly came to address the issue but it was too late. Everything including our belongings was completely water damaged. They did dry clean all of our clothes, and move us to a suite on the top floor which was amazing. At that point, we just wanted to shower, but when we went to do so, the water was brown. 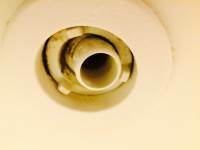 Assuming they had to turn the water off to fix the leak, this is a common issue when turning the main back on. After all of this, we were happy that they addressed the issue, cleaned our belongings, and upgraded our room to a suite. They could have just moved us in a similar room. This is what great experiences are made of. 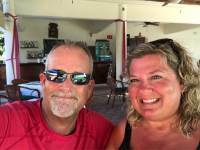 Stories, good and bad, but thank goodness this one ended with amazing customer support, and an overall relaxing, fun, and enjoyable vacation. Thanks for the quick and friendly service! Staff is great but the hotel is very old. Due to an issue with our flight,we arrived a day later. When we checked in the hotel had given away our villa! We had booked a three bedroom villa for our stay but the hotel gave it up! My travel agency had given notice to the hotel that we would be arriving late. However, the hotel still gave up our villa saying we "no showed". They were able to give us two executive rooms instead. These rooms smelled like molded. My brother in law had a major asthma attack due to the smells in the room. On our second day the hotel was able to put us in a villa. Villas are very outdated and old. The AC didn't work in one of the room. For our room the AC vent was located in the bathroom and it was extremely loud. The buffet (La Paloma) was mediocre. Average buffet stuff. La Visata has a beautiful view over looking the lagoon. Dinner here was exceptional! The lobster is worth every penny. The freshest seafood imaginable. La Pina is located on the beach. We had this for lunch and dinner. Again the food was fresh and delicious. The taco shop and the sushi restaurant by the pool was also delicious. Reason for the low rating is due to conditions of the hotel. It is very old and outdated. The food is delicious and the staff is amazing!! It's just too bad the hotel is so disappointing. Location on the beach is fantastic. Food is average but the convenience is nice. Best restaurant was Da Vinci, then the Asian restaurant. 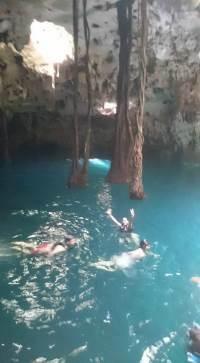 Buffet was ok. Take the Chichen Itza and Ik Kil cenote tour. There is a baby sea turtle release every night on the beach. Very Disappointed - Omni Can Do Better Than This! We stayed here from 8/17/17 - 8/23/17.For starters, we had a delayed flight which caused us to miss out on being able to upgrade our room from two doubles to a king. This was obviously not the fault of the management, and they were more than happy to accommodate us the following day.Saul at check in was very nice and professional. He has gotten some bad reviews but he was more than helpful to us.PROBLEM AREAS:1. Bar in the lobby - the bartenders act like you are inconveniencing them. The main bartender had an attitude and didn't even warm up to us after a $5 tip. His loss.2. Watered down alcohol - it's everywhere. I am a relatively normal sized person and usually after two drinks with liquor I am buzzed. I had at least 10 drinks a day and never got even a hint of a buzz. That, and you can barely taste the alcohol - even when asking for a double. Shameful.3. Food at the asian place - awful. I've had more flavour in Lean Cuisine meals. It was so bad we ate buffet food because we were starving when we left.4. Concierge - Specifically - Jesus. He was snooty from day one and extremely unhelpful with a special request. (more details on that later- it requires it's own paragraph)5. Reservations - You better not be one minute early or one minute late with arriving at concierge to ask them to bless you with a reservation. They are uncooperative and refuse to help outside of their ridiculous available hours. They also claim they cannot make reservations more than two days out. The whole system is a crock and the food isn't even that great.6. Food - meh. Usually I'm not too picky with resorts because I understand the quality scale in terms of volume. But some of the food is disgusting. Unedible and unappetizing and questionably safe. For Breakfast - stick with cereals and yogurt.7. Management - I asked the manager on duty to assist me with my special request and he assured me it would be taken care of. He failed in epic proportions.8. The bar on the beach charges for certain drinks - I thought this was an all inclusive resort. Why are they charging us for a drink that we don't have to pay for at the pool. $10 to be exact. Shady.9. The beach is beautiful but too rough to swim. The waves are very powerful and the undertow is very dangerous. Use caution and watch your children at all times.10. Housekeeping kept locking our safe. We don't trust these safes because more times than not they do not unlock. So we had our items in there unlocked and more than once we had to ask someone to come unlock the safe because housekeeping took it upon themselves to lock it for us.The Special Request:My husband and I were there to celebrate our 4th wedding anniversary. Two traditional gifts are in order for the 4th anniversary: silk and fruit. I emailed the concierge desk three weeks prior to our trip to ask them to assist me in getting chocolate covered strawberries delivered to our room on the day of our anniversary. I did not get a response. I sent a 2nd email and again, no response. I finally called the Omni Customer Service number and she assured me I would receive an email from concierge. Again - nothing. Finally I called again and this time I finally got a response telling me that I can order in advance by wiring money (HUGE RED FLAG) or wait until I arrive and ask for it in person. I chose the latter. On Saturday morning I asked Jesus at Concierge to assist me. He said "oh no - you have to order that through room service". I called room service and no one picked up. Frustrated, I approached the front desk and asked Saul to help me - again - Props to Saul for his attentiveness. He asked the manager to assist me and when I told the manager on duty what I needed he promised me it would not be an issue and that he would personally take care of my request. I offered my credit card to pay, and he said since it had been so difficult and time consuming for me to get this taken care of, he would waive the additional fee. Sure enough, Monday (our anniversary) approaches and my husband and I went snorkeling, hung out at the pool and ate sushi. Came back to the room and guess what - no strawberries. Since it was late I knew it wouldn't happen so I called the next day. I of course got a different manager this time, and she said she knew nothing about my request. (shocking.) She assured me it would be addressed and apologized. To be fair, she did make sure the strawberries were delivered that day - although it was late, it was better than nothing. In fact, she must have been so concerned that she actually sent two orders of chocolate covered strawberries to our room - the 2nd time with a bottle of champagne.Here's my issue - it took so much effort for such a simple request. Communication, customer service and attention to detail are lacking at this resort. I was very disappointed because this was our anniversary and it was important to me. I even explained that to all 400 people that I dealt with in trying to get the damn strawberries ordered. Big Fail.With that said, I believe on ending on a good note. So here are the positives:Best sushi I've ever had. My husband is Asian and we eat a lot of sushi and honestly - this hotel knows how to make good sushi.That's it for the positives. I wouldn't stay here again if they offered it for free. 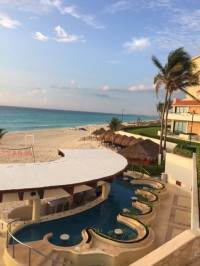 We had a really good stay at the Omni Hotel in Cancun. 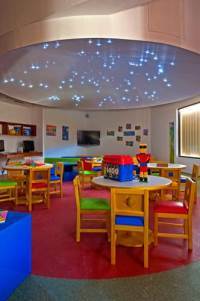 The staff were amazing, very helpful and polite and always on hand for anything we needed. Lovely staff, lovely hotel, lovely holiday. Thank you Omni, we had a blast! Great place to stay. Cleanest resort I have ever stayed at. I like the size of this resort. It is always so clean, including the rooms. The beach is great as are the pools. The service is great. My favorite restaurant is the Italian. So many choices for restaurants. Entertainment was really good too. I love this resort so much I bought into their Vacation Club. I have been multiple times and it iz amazing. The staff is amazingly attentive. The rooms are clean and spacious. The restaurants are all fabulous. The price is amazing. The beach and pool facilities are spectacular. I can only rave about the place. Girlfriend vacation just in early March almost missing the Spring Break crowd, thankfully. The Great Stuff- Food was awesome. 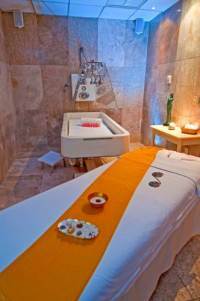 - Staff was attentive.- SPA was amazing - I was fortunate to get a booking with Jazmine and rebooked with her later in stay. One of the best deep tissue massages ever! - Nice gym very busy in morning so plan for late afternoon for no issues with crowding- No issues getting reservations for dinner and it was very busy! - Disco club was fun! - staff has superb dancing skills- Easy access to bus across the street- Lobby bar gets busy in evenings so order doubles- Lifeguards change flags, whereas the other hotels leave the flags red all day every day- Lifeguard staff workout and train daily- Staff is resorts greatest assetThe Not so Great- Wicked riptide in this area of Cancun. 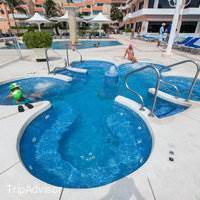 No mention of riptides during check-in although apparently well known by regulars & staff. No signs warning tourists on beach of riptides. Several tourists pulled out of riptides during my stay.- Tourists save chaise and chairs with towels before 6 am and by 7 am their aren't many options. Tourists often never show up. Very annoying and the resort doesn't address. 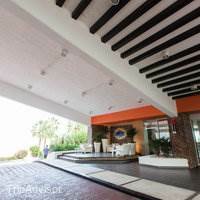 Great hotel everyone has great costumer service,friendly makes you feel home away from!